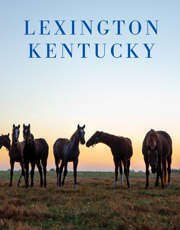 The structure has been an iconic image in the bluegrass for decades. The music has been an iconic part of the bluegrass since Bill Monroe walked the soil of the Commonwealth a century ago. Now, the two worlds will meet in one of the the nation’s most fascinating venues of roots music in north America. Organizers of the Troubadour Concert Series and Highbridge Spring Water have partnered with the new owners of the Kentucky Castle along Versailles Road to launch a national level series of concerts that will be held in theatre-like seating at the legendary Castle, celebrating renown Bluegrass artists and their music. Yes, the famous Castle is being turned into a 300 seat theater for the most elegant presentation of bluegrass concerts in north America. The idea of bluegrass concerts in the region and the fact that there are few, if any, venues to hear bluegrass music in the area is not lost on Producer, folksinger Michael Johnathon, who founded the series as well as the WoodSongs Old-Time Radio Hour. Already confirmed are Doyle Lawson, John McEuen (Nitty Gritty Dirt Band), and Riders in the Sky to the castle for full concerts. The series is respected nationwide for the quality of its artists presented but especially for the way artists are treated when they perform. Usually in theaters like the Opera House, Lyric Theatre or even the Highbridge Spring Water Cave in Wilmore, each concert is a genuine musical event. According to Mary Quinn Ramer, President of VisitLEX.com, the Lexington Tourism office, the Concerts at the Castle will be a huge boon to Kentucky, Lexington and the entire bluegrass region. To support the Castle Concert series, the Troubadour family of media partners have all chimed in. Aside from longtime media partners WEKU-FM NPR and LEX18 NBC is the unusual partnership of LM Communication commercial stations, Lexington’s only Locally Owned Radio and Broadcasting Company.